If like me, you are struggling with acne scars that are deep or indented, this video is for you. If you feel self-conscious about your scars and try to avoid lighting situations that may make them look worse, I understand your pain. Today I’m going to tell you about a product that could help fill up acne scars. In my research, I came across the power of sulphur to regenerate lost collagen. Which for us means that it could help fill up acne scars. 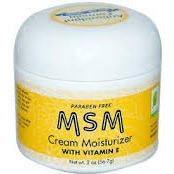 Digging deeper, I came across something called an MSM cream. MSM stands for methylsulphonylmethane. It is a compound of sulphur. Wanting to try it out, I ordered At Last Naturals MSM cream moisturizer from Amazon. I got it mainly for trying out on my rolling scars, that are mostly on the left side of my face. I’ve been using it for 2 days. So this video is more of a first impressions video. I will be sharing my progress in my next video, so be sure to subscribe to my channel. The price is about $10 for a 2 oz jar. That’s approximately 50 grams. Please subscribe to my YouTube channel so you don’t miss out on my updates. I promise to keep you updated.